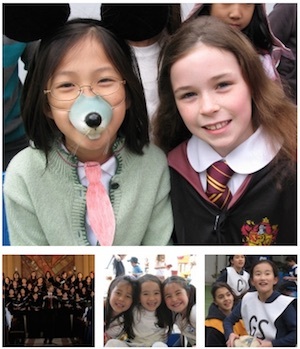 International School of the Sacred Heart is located in the heart of Tokyo, surrounded by greenery where we enjoy the beautiful changing of the seasons typical of Japan. This Catholic school provides a multicultural education of many faiths. Classes for Kindergarten 3 to 5 year olds are coed, while grades 1 to 12 are for girls only.